The amount of huge names on here is staggering! 2018 is proving to be the year of the movie soundtrack! The Greatest Showman, Mamma Mia: Here We Go Again, A Star Is Born, Bohemian Rhapsody... all had huge selling soundtracks. 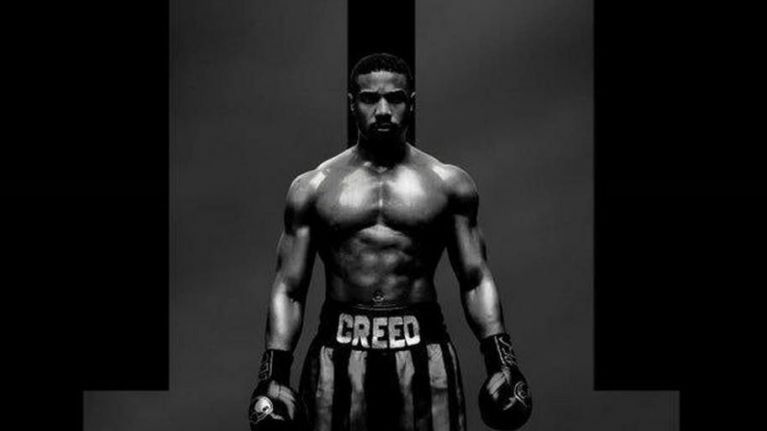 Same went with Black Panther when the Kendrick Lamar-curated soundtrack was released earlier this year, and now it looks like Creed II might be giving that OST a run for its money in terms of soundtrack of the year. Executive produced by Mike Will Made-It (he's behind everything from Miley Cyrus' 'We Can't Stop' to Kendrick's 'Humble' to Beyonce's 'Formation'), he has amassed a hugely impressive roster for the soundtrack. Lil Wayne, Bon Iver, Crim Mobb, Eearz, ScHoolboy Q, 2 Chainz, Nas, Rick Ross, Young Thug, Ari Lennox, J. Cole, Pharrell, Kendrick Lamar, Rae Sremmurd, Kodak Black, Gucci Mane, YG, Trouble, Quavo, Juicy J, A$AP Rocky, A$AP Ferg, Nicki Minaj, Tessa Thompson, Gunna, Ama Lou, Vince Staples, and Ella Mai. "There was a time where movie soundtracks had people just as excited as an artist’s album, and that’s the feeling I was going for when creating this project alongside Ludwig Göransson and Fam Rothstein. After people hear the music, I want them to say movie soundtracks are back. "I approached the music by first watching Creed II and then creating a playlist of songs people could work out to, chill to, vibe to or to get them through any struggle which matched specific scenes in the movie. It’s important to show the new generation that soundtracks can be just as exciting as traditional albums if put in the hands of the right curator." The soundtrack is to be released on 21 November 2018, while the movie will be released in Irish cinemas on Friday 30 November.